Equipped with air conditioning, safe, minibar offers you all the comfort you need for a pleasant stay. 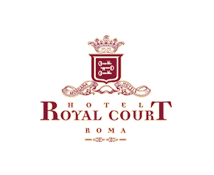 Because you are on the Royal Court Hotel Official Website. Executive Double Room have a king or double size bed, modern designer bathroom tub, modern and classic furniture. They are air-conditioned with in mini-bar, safe deposit box, satellite cable TV, complimentary wireless. On minimum of 3 nights stay we do offer a complimentary pick or transfer back to airport one way only (we need flight details). Deluxe Double Room have double size bed, marble designer bathroom with bath tub, some with Jacuzzi, classic style furniture. They are air-conditioned with in mini-bar, safe deposit box, satellite cable TV. For a minimum of 3 nights stay we do offer a complimentary pick or transfer back to airport one way only (we need flight details). Superior Double Room are larger than the Standard ones. They have a queen size bed, marble designer bathroom and face to our internal courtyard, they are air-conditioned with in mini-bar and safe deposit box. Standard rooms are our basic rooms with good value rates. They have a queen size bed, bathroom with walking shower and face to our internal courtyard, they are air-conditioned with in mini-bar and safe deposit box.